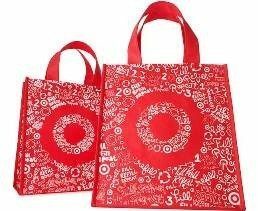 FREE Reusable Shopping Bag On Friday, April 26 - Earth Day- At Target! You are here: Home / FREEbies / FREE Reusable Shopping Bag On Friday, April 26 – Earth Day- At Target! FREE Reusable Shopping Bag On Friday, April 26 – Earth Day- At Target! Get a FREE reusable bag at Target stores on Friday, April 22. These will go fast, so go early to your local store!